2010 - 2018 Dodge Challenger Hood Pin Kit - Set of (2) Hood Locks Mopar OEM. 2010 - 2018 Dodge Challengers. Secure your vehicle's hood with Mopar accessories that are tested for durability and corrosion resistance. 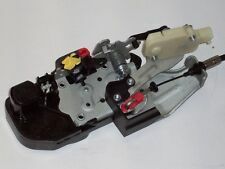 New genuine Mopar door latch for the left drivers side door for Dodge Challengers. Warranty: All OEM Mopar parts have a 12 month unlimited mile warranty. Mopar Remanufactured engines and transmissions may have up to a 3 year 100k mile warranty. Established in 1959! Part Number: DL-2. 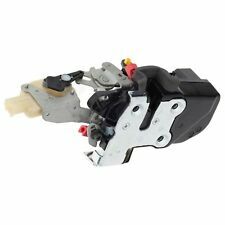 Condition, OEM Mopar, trunk lid Latch lock power actuator for a Dodge / Chrysler: w ill fit the vehicles that are listed in the compatibility list. Fits: 2011 - 2014 Dodge Challenger. This has the locking solenoid for the electric locks made on to the latch. It also includes the sensor for the glass closing function on the Challengers only. We will check it and make sure that it is going to work for your vehicle, if not we will point you to the correct part you need. FITS:2011-2014 DODGE CHALLENGER. New genuine Mopar door latch for the right/passenger side door for Dodge Challengers. Dallas Dodge is one of the largest wholesalers of OEM parts in the United States. 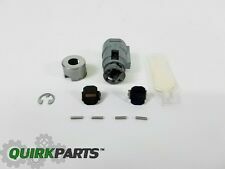 Mopar part# 4816182AB. Warranty: All OEM Mopar parts have a 12 month unlimited mile warranty. Mopar Remanufactured engines and transmissions may have up to a 3 year 100k mile warranty. 2008-2015 DODGE CHALLENGER. Established in 1959! Part Number: TL-101. Part Number: 38382. Established in 1959! OEM Mopar part# 68064402AG. Fits: 2011 - 2014 Dodge Challengers. This latch includes the locking solenoid for the electric locks and also the sensor for the glass closing function on the Challengers only. 1 piece aluminum bumper mounting bar. Silver powder-coated anodized finish. Racing_Gear products require professional installation, we are not responsible for installation. 4 pieces steel locking nuts with screws. Application Summary - 2000 : Dodge Challenger 2014-11. Key Search Words - 2000 : Door, Doors, Lock, Locks, Actuator, Actuators, Motor, Motors, Solenoid. This part generally fits Dodge vehicles and includes models such as Challenger with the trims of Base Coupe 2-Door, R/T Classic Coupe 2-Door, R/T Coupe 2-Door, Rallye Redline Coupe 2-Door, RT Coupe 2-Door, SE Coupe 2-Door, SRT Coupe 2-Door, SRT8 Coupe 2-Door, SXT Coupe 2-Door, SXT Plus Coupe 2-Door. Trust your Mopar parts to the real Mopar dealers. We specialize in only new and used Dodge, Plymouth, and Chrysler parts! 1970-72 Dodge Challenger & Plymouth Cuda Ignition & Door Locks. Make sure it fits. Available in one- and two-piece styles, for both steel and aluminum wheels. Wheel Lock kits help protect against wheel and tire theft without effecting wheel balance. We Are Delray Dodge Chrysler Jeep. 5 out of 5 stars - WHEEL LOCK KIT 2011-2018 DODGE CHARGER CHALLENGER CHRYSLER 300 BRAND NEW! 18 product ratings18 product ratings - WHEEL LOCK KIT 2011-2018 DODGE CHARGER CHALLENGER CHRYSLER 300 BRAND NEW! Kit includes a black quick on/off, quarter-turn, locking gas cap and two keys. 2005-2016 Jeep Wrangler, Chrysler Town & Country, Dodge Grand Caravan. 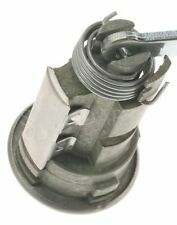 LOCKING GAS CAP. We Are Delray Dodge Chrysler Jeep & Ram. 4.5 out of 5 stars - MOPAR LOCKING GAS CAP OEM JEEP DODGE CHRYSLER RAM - BRAND NEW! 100 product ratings100 product ratings - MOPAR LOCKING GAS CAP OEM JEEP DODGE CHRYSLER RAM - BRAND NEW! For sale is a ~~~~~~~~~~~~~~~~~~~~~~~~~~~~~~~~~~~~~~~~~~~~~~~~~. We want you to be 100% happy with your order. ~~~~~~~~~~~~~~~~~~~~~~~~~~~~~~~~~~~~~~~~~~~~~~~~. (Unless stated otherwise) It may be a little dusty from storage use. 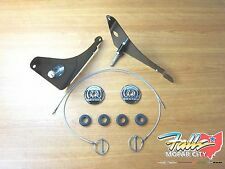 This is a genuine MOPAR Belly Pan Engine Shield Cover Pan Bolts SET OF 4. 2005-2010 CHRYSLER 300. 2005-2008 DODGE MAGNUM. 2008-2014 DODGE CHALLENGER. Interchange Part Number: 2486468, 6022891, 6023576. 2486 468, 2486468. 6022 891, 6022891. Door Handles. Bushing Height: 0.4". Bushing Material: Brass. 2 Sets Included. Pin #1 Height: 3.41". 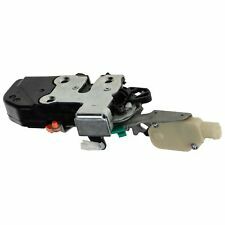 This rear latch will fit all of the following models REAR TRUNK LATCH LOCK. CHRYSLER / DODGE. 2007-2012 Chrysler Sebring Sedan or 200. 2011-2019 Chrysler 300. 2008-2014 Dodge Challenger. This Kit contains 1 pin each of the following sizes.340" x 2.435". 340" x 3.410"; and also 4 bushings. This ensures the correct fit, form, and function and to improve the part's longevity. Door Handles. Trending at $8.92eBay determines this price through a machine learned model of the product's sale prices within the last 90 days. Replaces oe number : 19113524. "AC Delco Trunk Lock --. Therefore all implied warranties that may apply to your part are limited to the duration of this written warranty. Each warranty gives you specific rights, and you may have other rights which vary from state to state. 2011-2019 DODGE CHALLENGER. 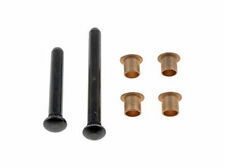 100% NEW MOPAR WHEEL LOCK SET. THESE KITS ARE 100% NEW SEALED KITS AND NOT VEHICLE TAKE OFF'S. THIS WHEEL LOCK KIT FITS. 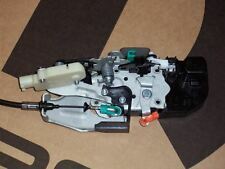 UP FOR SALE IS A OEM ORIGINAL DODGE SRT ACTUATOR. Part Number: 68085674AA. Our goal is to make it easy for you to find and buy Mopar and Magneti Marelli parts online at the best prices. To confirm that this part fits your vehicle, enter your vehicle's Year, Make, Model, Trim and Engine in theCompatibility Table.